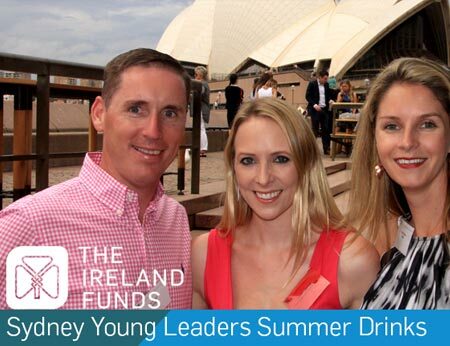 The Young Leaders program cultivates young friends of Ireland to network and support the philanthropic work of The Ireland Funds Australia. The Ireland Funds Australia is a part of The Ireland Funds, a global philanthropic network established 40 years ago to promote and support peace, culture, education and community development throughout the island of Ireland, and Irish-related causes around the world. With chapters in 12 countries, The Ireland Funds has raised over $600 million for deserving causes in Ireland and beyond, benefitting more than 3,200 different organizations. The Young Leaders’ Network is a key Ireland Funds Programme attracting the next generation of leaders. 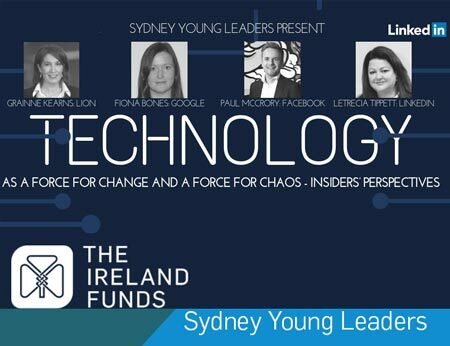 The mission of The Ireland Funds Young Leaders Network is to attract professionals aged 25-40. Paving the way for the future, the Network cultivates an emerging generation of philanthropists, connects the global Irish community, and inspires positive change. Discounts of approx. 50% to major events such as the Sydney Garden Party and the annual Brisbane and Melbourne lunches. Enhancing your personal and professional networks whilst supporting people less fortunate than ourselves. Invitation to exclusive members only events to meet the Board. Access to our global network of The Ireland Funds in 12 countries. Exclusive members only invitation to the Young Leaders Summit YLS8 in New York, January 2019 with discounted accommodation. Invitation to the 42nd Ireland Funds Conference in Adare, Co. Limerick 20-23 June 2018. Recognition as a Benefactor in The Ireland Funds Australia publications.